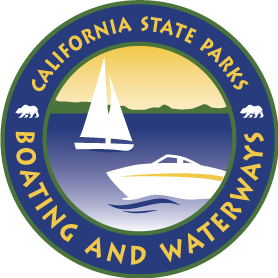 What is the process to have a boating safety course approved by California State Parks Division of Boating and Waterways (DBW) in order to become a course provider for the California Boater Card Program? There is a four-step process for a course and exam provider to become an “approved provider” in California: Providers with a current NASBLA and state certification can take up to 30 days to be approved. Providers who need a NASBLA and state certification can take up to a year to be approved. Complete the National Association of State Boating Law Administrators (NASBLA) process for national approval. For NASBLA approval, follow the procedures outlined here. Still working within the NASBLA framework, complete DBW course content approval. California approval is the second part of the NASBLA approval process. Understand and complete a California Boater Card Data Compliance Agreement. Complete a California Boater Card application including contact information, a copy of your current NASBLA/California certification letter (and any previous letter verifying approval since January 1, 2015) and copies of your current course certificate and/or card. An application can be found on our website. What will the California Boater Card Data Compliance Agreement include? Boating safety course providers shall agree to collect the student DBW-issued Application ID number and provide it to DBW in the required format and in the timeframe established by DBW. This information shall be in an uploadable format such as Excel or API; the course provider shall upload the requested data into the database. When should a course provider complete a California Boater Card course provider application? After the course provider has completed their NASBLA and State certifications and the California Boater Card Data Compliance Agreement. What information about the California Boater Card must course providers provide on their websites to avoid confusion about the Boater Card? Currently on some course provider websites, there is confusing information that can be misinterpreted that a provider-issued card or certificate is the California Boater Card. DBW will provide appropriate language to be included on your websites to help clarify that the course completion card/certificate does not take the place of a California Boater Card. If a boater initially starts the process at the provider’s website before applying for a California Boater Card, how should a course provider respond? Course providers shall provide instructions and a link to the California Boater Card webpage for boaters to apply for the California Boater Card and receive their Application ID number. Then boaters can continue with the safety course and exam. What if a boater wants to take their course first and apply and pay for the card later? Course providers will need to accommodate this option by providing the boater a certificate of completion or any other “proof” of passing their course. The boater will use their ‘proof’ of passing their course to apply for their California Boater Card at www.CaliforniaBoaterCard.com. Who should you contact if you have questions about the course provider’s application process?